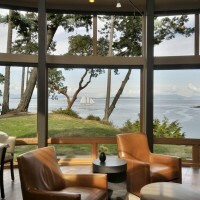 Perched on a San Juan Island shoreline, this 2,365 sqft home looks northwest over Sunset Bay, Haro Strait, and occasional whales passing by. 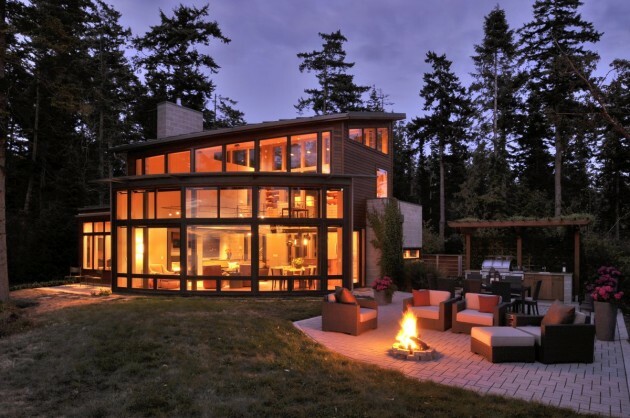 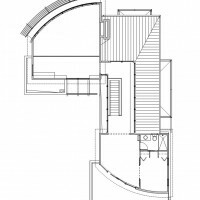 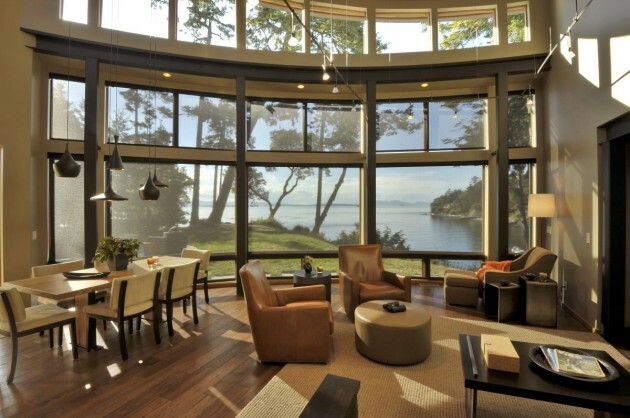 In order to utilize this small, medium bank waterfront property to best advantage, the home was designed with two mirroring curved glass walls that frame views, and let maximum light into the home. 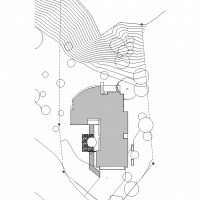 The architecture is composed of two pavilions arranged to embrace the site and the natural forces acting upon it. 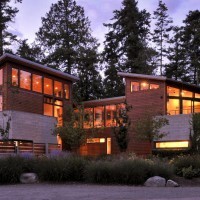 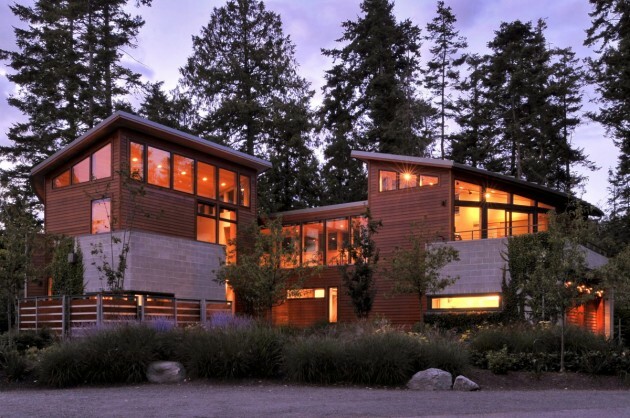 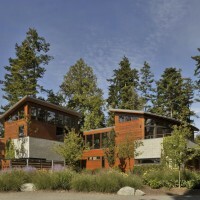 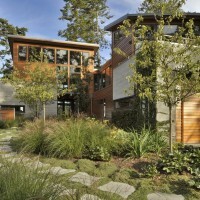 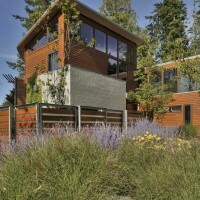 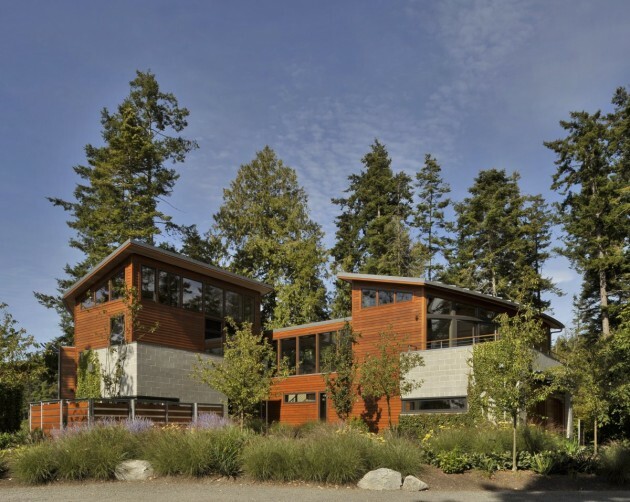 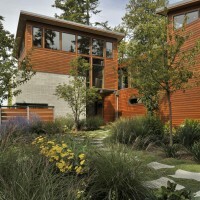 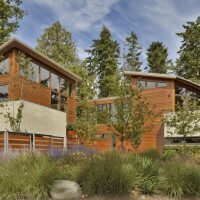 Designed for a couple seeking comfort and security, the exterior materials allude to island appropriate but substantial design, with CMU block, naturally stained cedar siding, hot rolled steel and metal roof being the predominant elements. 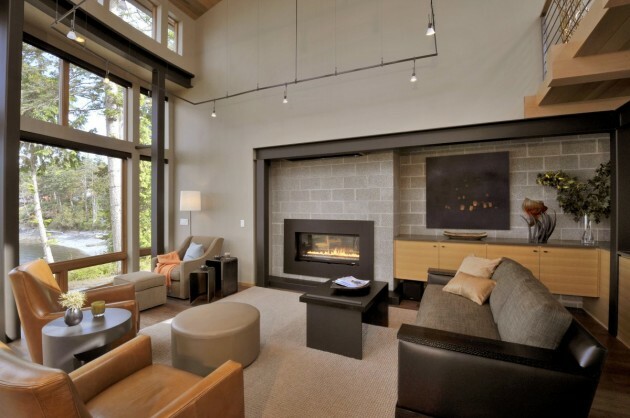 These materials are brought inside as structure and accent, with the great room fireplace set in CMU and steel columns evident throughout. 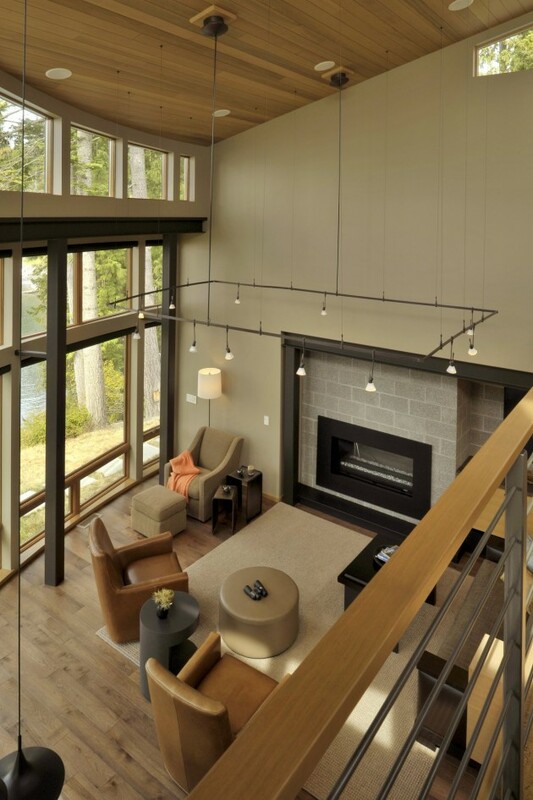 These columns support a nearly 2 story curved window wall and loft overlook in the Great room. 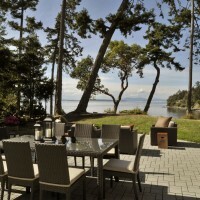 The Kitchen and Dining areas complete this space and visually connect to outdoor entertaining patio, natural landscaping and the walk to the beach. 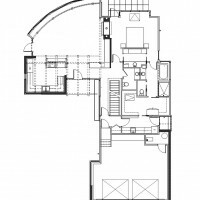 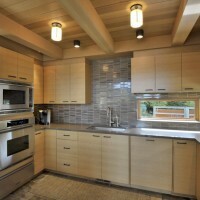 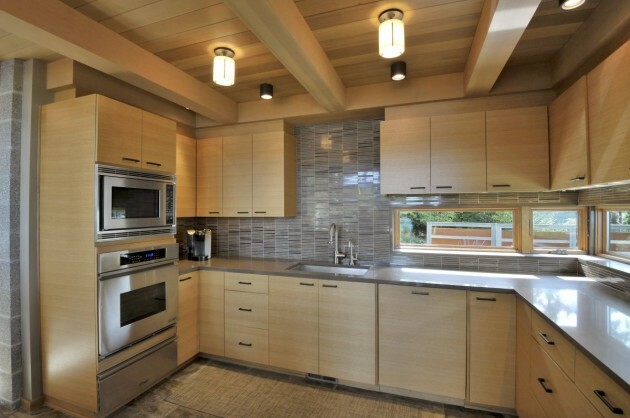 The main floor of the home also contains a full master suite, utility area and 2 car garage. 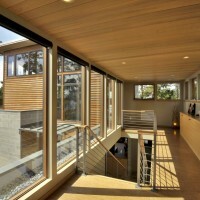 Upstairs, a glass bridge adjacent to the loft connects to a Guest Suite and Exercise area. 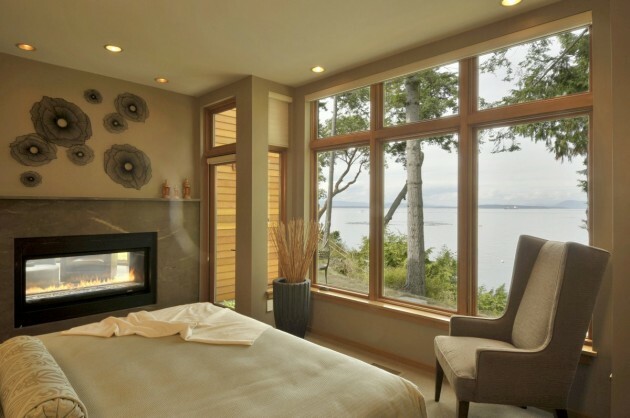 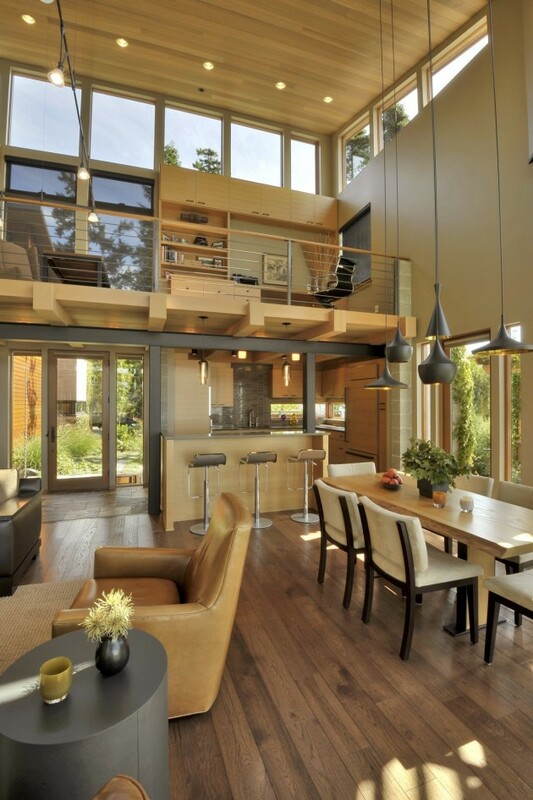 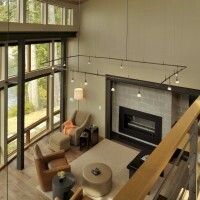 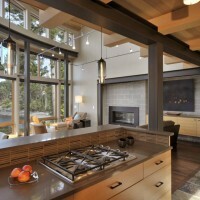 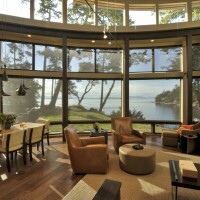 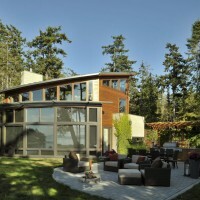 This space also has a curved glass wall mirroring the great room feature and looking out over Victoria and the Olympics.